Cablecomm offer packages tailored to our customers needs with the fastest download and upload speeds and the lowest latency of any provider in Longford Town. 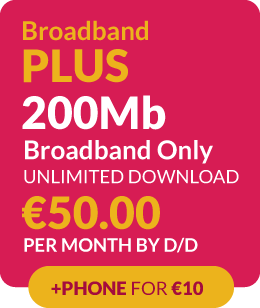 Cablecomm believe in offering our customers the fastest and best broadband service of any provider in Longford. We pride ourselves on being the fastest broadband provider in Longford with the lowest latency connection. 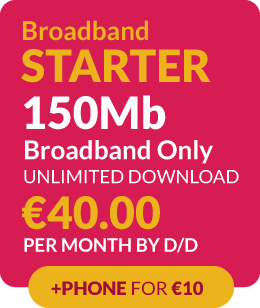 We can do this because we have invested in the latest DOCSIS technology and operate our own fibre network all the way to the customer home. We don’t rely on any other network to provide our service so they can’t slow us down. Because we own our own fibre network we are in full control of this network and can optimize this network for the fastest most reliable service. 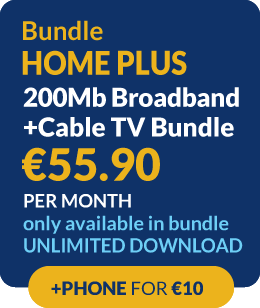 Cablecomm are also members of INEX (Irish Internet Neutral Exchange) which is the interconnect of service providers in Ireland. Other members of INEX are Google, YouTube, Netflix and Microsoft to name a few. This is how we can offer such fast download and upload speeds with low latency to and from these directly connected networks.